There are times where we need to accept that we can’t do everything on our own. We may be handy enough to fix a leaky faucet or replace our front door, but when you’re having issues with your roof, calling an expert would be your best bet. Damaged shingles: If you notice any shingles that are in a state of disarray, it’s a sign that you need to replace your roof. Loose, blistered, or curled shingles are a telltale sign that you’ll need to consult a professional roofing contractor soon. Clogged gutters: Clogged gutters can prevent water from leaving your roof. Leaves, dirt, branches, debris, and ice can jam your gutters fairly easily. If you refrain from getting them cleaned out, you may have to pay off some hefty repair bills for your roof in the future. Leaks: If your roof reveals any flashing damage, or if it’s experiencing any leaks, the assistance of an expert can be greatly beneficial to both you and your roof. A professional can help by properly sealing any leaks, which can protect your home from further water damage. They can also inspect the state of your roof’s flashing sheets, which are responsible for keeping water from entering your house. Age: When you have had your roof for roughly 20 years, it’s time to consider getting a replacement. Many roofs tend to last for approximately 25 years, so even if you don’t notice any cosmetic issues, it’s highly recommended to get a consultation with a professional roofing contractor around this time frame. If you’re looking for a reputable roofing contractor in the Toronto, York, and Durham regions, check out Dillon Bros. Roofing. For over 15 years, this highly praised company has continually satisfied their clients with their superior roofing expertise. These expertly trained contractors can provide you with a wide variety of roofing services, such as eavestrough cleaning, shingles and skylight installation, gutter clean system installation, aluminum and vinyl siding, snow removal, and much more. 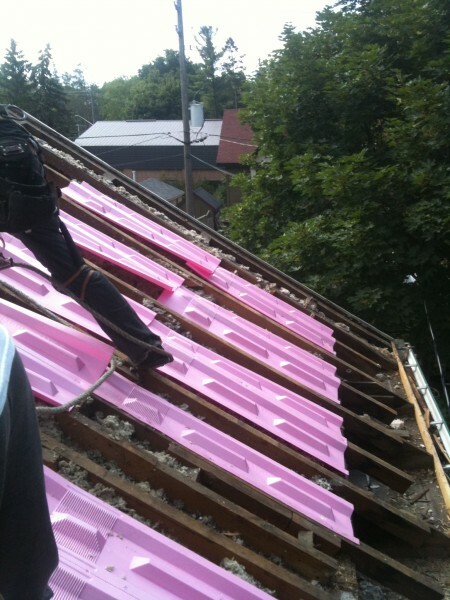 If you have any roof-related inquiries, or if you want a free estimate, check out their website at dillonbrosroofing.ca. This entry was posted in Roof Safety, Roofing Advice and tagged Aged Roof, Clogged Gutters, Damaged Shingles, Newmarket Roofing, Old Roof, Richmond Hill And Newmarket roofer, Richmond Hill Roofing, Roof Leak, Roofer. Bookmark the permalink.